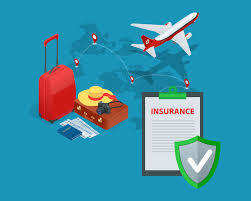 The travel insurance market report incorporates in-depth assessment of the competitive landscape, product market sizing, product benchmarking, market trends, product developments, strategic analysis and so on to gauge the impact forces and potential opportunities of the market. Dallas, United States - November 19, 2018 /MarketersMedia/ — The global travel insurance market size is expected to be valued at more than USD 35 billion by 2025 owing to increasing levels of tourism globally. The global tourist arrivals reached approximately 11.9 billion in 2017. Tourism has become the largest component of international trade in services, constituting 25% of total share. Thus, tourism growth has provided an impetus to travel insurance companies to capitalize on the rising demand for insurance among travellers. The rising awareness amongst young travellers regarding the need to secure their travel against medical and non-medical contingencies is a major factor driving the growth of global travel insurance industry. Insurance providers are increasing their value-added services to achieve product differentiation from their competitors and to maintain better customer relationships. Recent market trends include the usage of data analytics to predict risks and formulate precise contingency plans. For instance, insurers can monitor weather conditions and notify their customers in advance, so that they can plan their trips accordingly. Such travel insurance industry trends are majorly being adopted by travel insurance providers located in the U.S. The U.S. travel insurance market size is estimated to cross USD 8 bn mark by the end of 2025. On the basis of type, the medical expense segment is anticipated to witness the highest growth during the forecast period. Medical expense coverage is crucial since it covers the cost of emergency treatment as well as any other overhead cost occurring at the time of travel. The uncertainty while travelling to foreign lands can pose health hazards and therefore, many countries have made travel insurance mandatory to issue VISA. Geographically, Asia Pacific held the largest share in global travel insurance market. This has been attributed to the high demand for corporate travel insurance from countries such as China, Japan and Korea. The growing segment of travellers in countries such as India is providing tremendous opportunities to insurance companies and travel agencies to tap into. However, in terms of growth rate, Latin America is expected to exhibit the highest growth of 8.8% over the forecast period. Travel insurance is gaining popularity in several developing countries of Europe. UK travel insurance market share is expected to witness a decrease due to decline in the number of travellers. The competitive landscape of the global travel insurance market is highly fragmented owing to the presence of several local players. Companies including Allianz SE, Munich Reinsurance America, Inc., American Express Company, Travelex Insurance Services, Atlas Travel Insurance Services Ltd, Aviva PLC, Saga Plc, Bajaj Finserv Limited, China Pacific Life Insurance Co., Ltd., MS&AD Insurance Group Holdings, Inc., Munich Reinsurance Company, Ping An Insurance Company of China, Ltd., China Life Insurance Company Limited., MAPFRE Insurance Company Inc., Prudential Financial Inc., and Chubb Limited amongst others have a broader presence within the global market. The purpose of the study is to give an exhaustive outlook of the global travel insurance industry. Growing trend of insuring one’s travel against unforeseeable circumstance and ensure a peaceful travel experience is driving the demand for travel insurances. Major companies are therefore striving to offer innovative solutions coupled with the latest technological advancements to address the increasing demand for travel insurance. Global tourism is witnessing exponential growth due to several factors such as introduction of low fare aircraft carriers, increasing disposable income, and holiday entitlements amongst many others. Along with the boom in tourism, mandatory insurance regulations by several countries has provided lucrative revenue generation opportunities for insurance companies. Additionally, the market has been evaluated using the PEST analysis. The study covers qualitative and quantitative analysis of the market segmented on the basis of type, application, type of travel and region. Moreover, the study provides similar information for the key geographies. Executives of travel insurance companies. Managers within financial institutions looking to publish recent and forecasted statistics pertaining to travel insurance market. Venture capitalist looking into investing capital. Government organizations, regulatory authorities, policymakers and financial organizations looking for innovative travel insurance solutions. Analysts, researchers, educators, strategy managers, and academic institutions looking for insights into the market to determine future strategies.